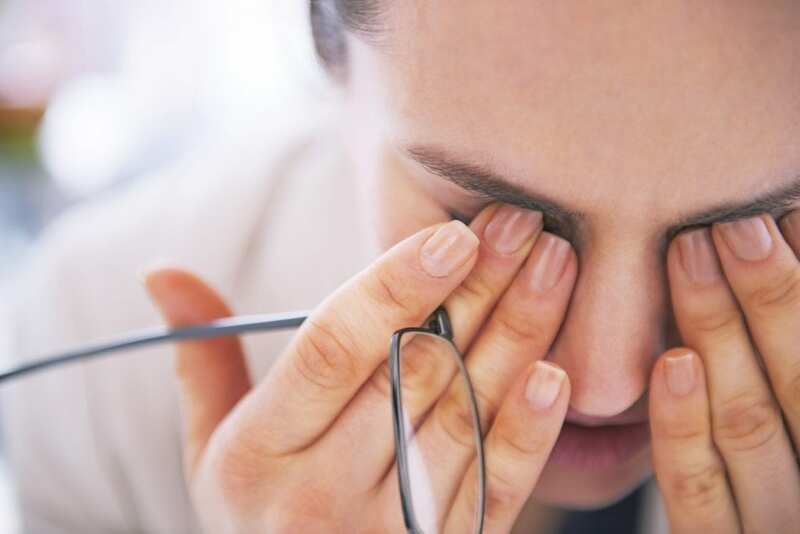 If you’re one of the millions of Americans who suffer from some kind of vision loss, then there is a good chance that you’ve wondered what exactly it means to be legally blind and what is needed to be considered legally blind. The actual level of vision loss you’re experiencing or might be facing could have you worried that it might be hard to seek help. Losing your vision is a scary thing, but you should not hesitate in seeking treatment or reach out for help. Whether or not you end up being considered legally blind you should educate yourself on all of the requirements to be considered legally blind. Take a look at the information we’ve compiled for you below. How is vision loss determined? When it comes to answering the question of what is legal blindness, you need to first determine whether or not you are suffering from vision loss. There are a few medical terms that are needed to define the loss of vision. This terminology is what a doctor uses to determine the range of vision you might have and the amount of impairment. Although the fancy words might have you confused, they serve a purpose and could lead to a medical diagnosis concerning your vision. How do you test visual acuity? The majority of people in the United States wouldn’t recognize this term whether they were worried about their eyes or not. The term itself is in reference to an examination that is reliably used to diagnose whether or not someone is legally blind. 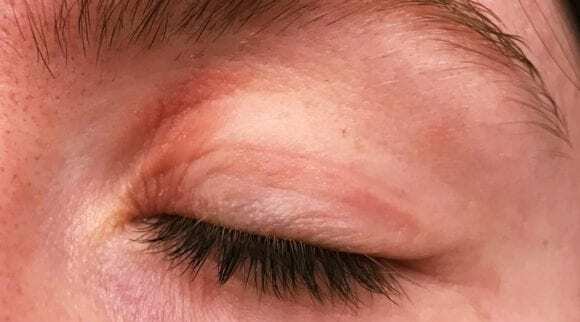 The test is the Snellen eye exam and despite its seemingly unrecognizable name, the majority of people have undergone it sometime in their lives. 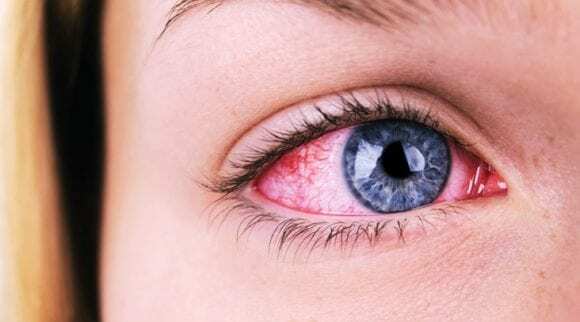 What is the Snellen eye exam? 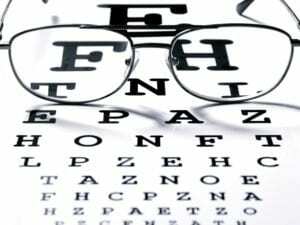 Simply put, the Snellen visual acuity is the little chart that can be found in many eye doctor offices. This chart has eleven rows of letters. Each row has a various change in size to the lettering which makes it harder and harder to decipher as the sizing changes. This results in our eyes having to focus in order to read the correct letters. So, if you’re asking yourself what legal blindness is, you should first see when the last time was that you got your eyes checked. A standardized Snellen chart is composed of eleven rows of letters. Anything better than row eight is considered above average vision as being able to read row eight is considered 20/20 vision. Anything below row eight or 20/20 vision, shows vision better than 20/20 and anything above means that vision is not as great. You must remember that your vision may not match up with your results as there are plenty of eye conditions that are treatable by corrective lenses and do not result in blindness. When it comes to being legally blind you need to have a visual acuity exam to determine whether or not you, in fact, are legally blind. 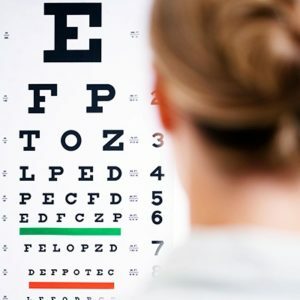 The test uses a standardized chart (Snellen chart) which is composed of eleven rows of letters that, depending on the row, test the visual acuity of our eyes. The chart is placed anywhere from 10 to 20 feet away from the patient during the exam, most commonly on a wall straight ahead of the patient. From there the patient will be asked to read the rows of letters depicted on the chart. 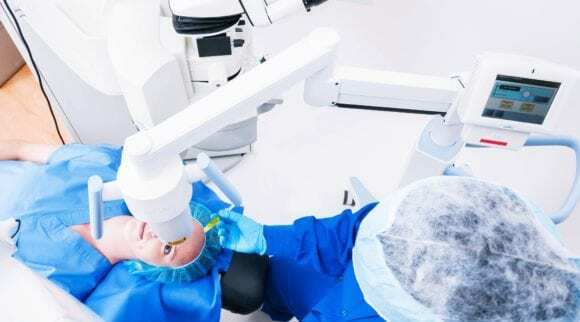 If you’re going in for a Snellen eye exam then you should know that it is a painless exam that takes only a few minutes to perform, you should also be aware that many eye professionals do further testing either before or after the actual Snellen eye exam. This testing is normally performed to account for astigmatism, myopia, or hyperopia of the eyes. In the case of a Snellen eye exam, the exam is performed through a series of simple steps that give conclusive results about how each of your eyes works. If you’re concerned about what is legally blind and how it might affect you, take the test. The first step in an eye exam is where you will remove any correction devices that you might already be using, which includes eyeglasses and contact lenses. You will either sit or stand 10 feet or 20 feet away from the eye chart at all times and keep both eyes open while reading the chart aloud row by row. Once your combined vision has been measured you will be asked to cover one eye and read the chart again, by reading with a single eye covered, the doctor can measure the visual acuity in each eye. You will switch eyes and read the test again. 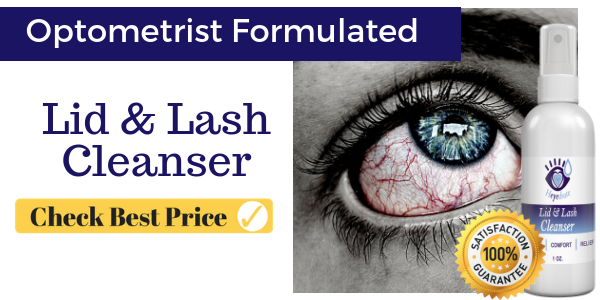 This will aid the doctor in figuring out your overall scope of vision. If you cannot discern what a letter is in a single row you can let the doctor know. You might be encouraged to try reading the row regardless of whether or not you can clearly see it. 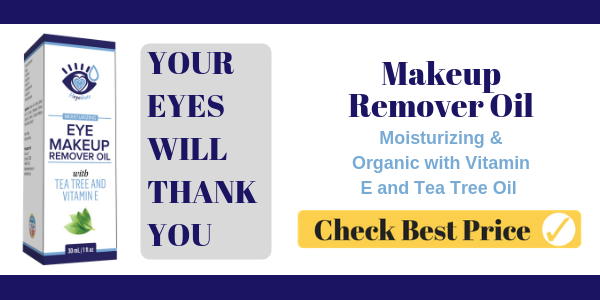 This helps in figuring out if there are any neural factors affecting your vision. The test is concluded once each eye has been examined and if needed the test might be repeated with the corrective devices you might already have been prescribed to determine any progressive vision loss. When it comes to what legal blindness is, you may also be asked to read from another card closer to your face; this is to determine how well your eyes compensate for close objects. Once your test has completed the eye examiner will compile the results of your eye exam and explain to you how your vision works, diagnosing any kind of eye condition and recommending treatment options as needed. 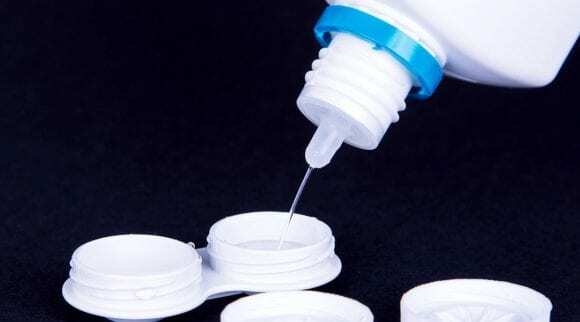 In many cases, the use of eyeglasses and contact lenses can correct any vision problem you might have. However, when it comes to legal blindness, anyone experiencing increased vision loss that is not found to be correctable, may receive a diagnosis of being legally blind, depending on how bad the vision is. Chances are that you’ve asked yourself what is legally blind and how does it affect you at some point, but there is more to being legally blind than what you might think. 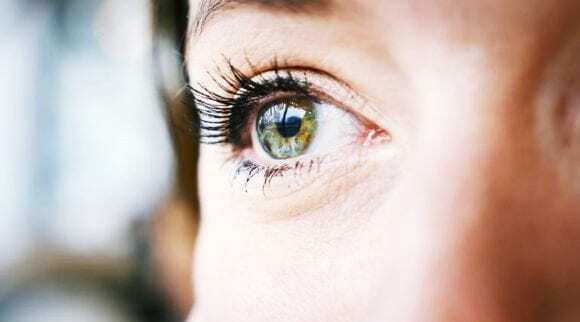 The term itself has special qualifications that need to be met in order for the diagnosis to be handed down by a doctor, but it’s not the only type of vision loss that is recognized. In fact, there are a variety of types of loss of vision that are recognized as being disruptive to day-to-day life. When it comes to what is legally blind you need to first determine what kind of vision impairment you might be experiencing and whether or not it meets the criteria for being legally blind. To be considered legally blind you have to have a level of vision loss that is in accordance with a medically diagnosed vision loss of 20/200 or less. When it comes to what is legally blind in terms of a medical diagnosis, the results of vision loss are determined by the central acuity of the better eye. This means whichever eye is your strongest has to have a visual acuity of 20/200 or less when best corrected. It is important to note that legal blinness is not used to describe what vision the legally blind person might have. Many legally blind people still have some vision, the ability to see light and shape. The defining characteristic of those who are legally blind is a reduction in visual acuity to the point where even large objects are unrecognizable. 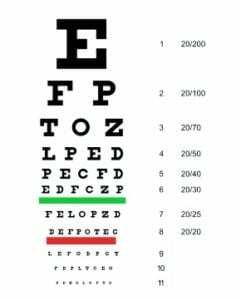 In order to be considered legally blind, you must have a visual acuity of 20/200 which in layman’s terms means that you are unable to read any row of letters in the Snellen eye exam below the very first row. The first row on the Snellen eye chart contains a single letter most commonly referred to as the big “E”, which is a considerable-sized capital E.
In order to determine if you meet the criteria for what is legally blind, you have to be unable to read the top row from 20 feet away even while wearing a corrective device you might have already been prescribed prior to the eye exam. In the case of no prior corrective devices being prescribed, the eye examiner might make adjustments with the tools in their office and ask you retake the test. If your test comes back the same, then your doctor will record your vision as 20/200 and make a notation that this is with corrective lenses meaning that your best vision is 20/200. This type of diagnosis will mean that you are categorized as being legally blind..
What factors do doctors look at? When it comes to deciding if you meet the standards for what is legally blind, your eye doctor will be looking for two things. These two factors will make up the whole of your vision and if one or both of these factors is considerably worse, then it could result in a diagnosis of being legally blind. What is considered when diagnosing legal blindness? If your eye has a visual acuity of 20/200 or less when best corrected, then this is considered legally blind. This reading is recorded as a result of wearing corrective lenses during the exam and testing again with the patient’s best eye. A visual field is the range of sight that we have without moving our eyes, in order to be considered legally blind you must have a visual field of 20 degrees or less. This change in the field of our vision is commonly referred to as tunnel vision. Like visual acuity, this is determined based on your best eye. 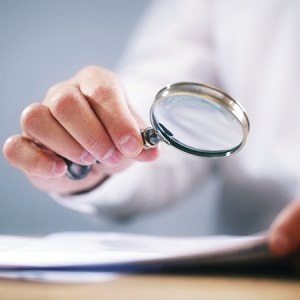 When it comes time to ask what criteria have to be met, then you need to take a closer look at what your symptoms might be and whether or not they match up with what is considered legal blindness. Many people who suffer from some sort of vision loss and are in the process of determining if they are what is legally blind and might confuse their vision loss as being already legally blind. In fact, they might just have a condition called low vision. It is important to realize that low vision is different than being legally blind. Legally blind or low vision? Low vision is described as any visual impairment that is not correctable. This means the use of contact lenses, glasses, surgery, and medicine cannot fix this type of impairment in a person’s ability to see. This type of vision impairment has an effect on a person’s daily activities but does not result in complete blindness and their visual acuity is above the standards of what is legally blind. In the U.S. alone there are millions of people suffering from low vision while around the world there are an estimated 135 million people affected by it. Although low vision can have a similar effect to that of what is legally blind, and low vision can stem from many different conditions. 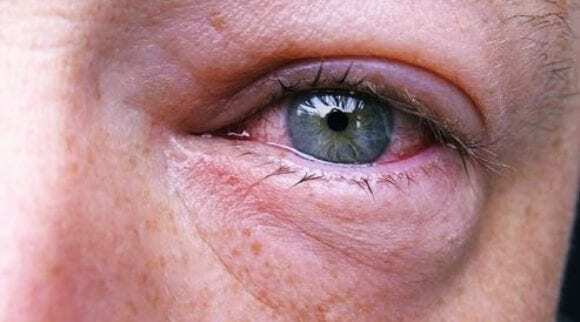 There has been a direct link from certain diseases and those who develop low vision, likewise, a person is just as likely to develop low vision from an injury. The majority of people affected by low vision have developed the condition as a result of an age-related eye condition known as macular degeneration; this condition accounts for 45% of all low vision records. The difference between low vision and what is legally blind is the range of vision that one still has. To be considered legally blind you have to be unable to see anything below the first row on the Snellen eye exam, this encompasses what is commonly referred to as the big “E”. While those who have low vision have a visual acuity of 20/70, which means that they can see down through to the third row of letters. This increased level of vision differentiates the two conditions despite them both sharing the same hindering factor of being irreparable. If you don’t have low vision and are instead diagnosed as legally blind, then you should know that just because you are legally blind does not mean that you are considered blind. It’s a confusing mix up of terms but it’s important to note that those who are legally blind retain some vision, whereas those who are completely blind have no vision whatsoever. Blindness is the inability to see, and this lack of sight encompasses shapes and light no matter how far away or how close they might be to a person’s eyes. 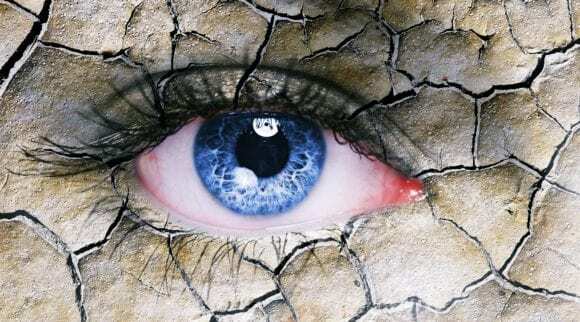 Blindness as a condition can be something that a person is born with or it can be developed from an eye condition such as macular degeneration. 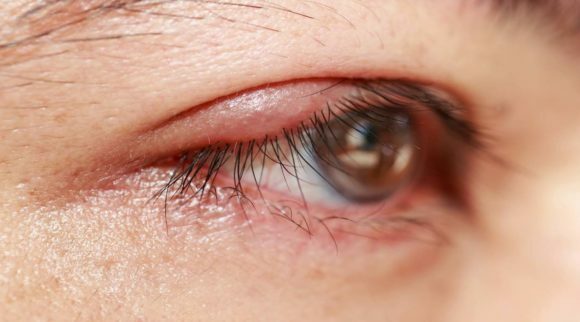 An injury to the eye or optical nerve can also lead to blindness. Blindness is considered unrepairable by surgery or other corrective means. In terms of visual acuity, blindness is considered of having a measured acuity of 20/200. Many who are trying to figure out if they are considered blind might be confused by this, as this is the same visual acuity requirement for those who are legally blind. However, unlike those who are legally blind, a person who is blind has no vision whatsoever meaning they have the inability to read the big “E” at all. Unlike the above conditions who have set determining factors and standardized measurements that are used to diagnose them, the term functional limitation is the level of functionality or ability to perform daily tasks. If your vision or lack thereof is affecting your day-to-day life and what activities you can do on your own then there is a reason to assume that you have a functional limitation. 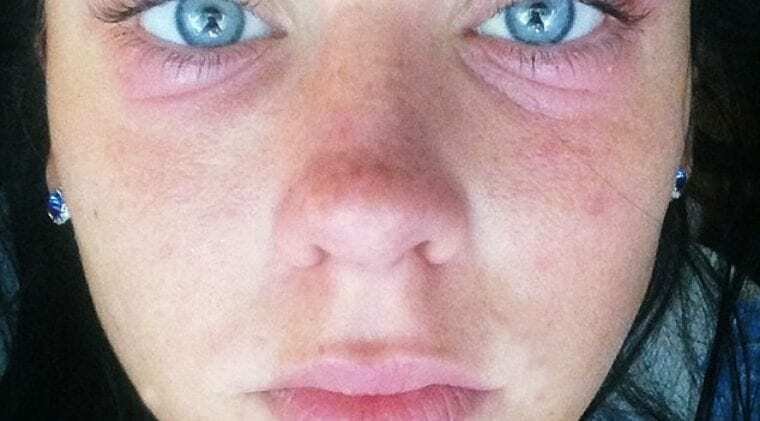 This is not a diagnosable condition in and of itself, but rather a determining factor that could be used to seek a diagnosis of what is legally blind by a doctor. If you’re one of the millions around the country who are considered legally blind, then you need to adjust to living in a world that is built for those who aren’t visually impaired. Accessibility is a big issue for those who are legally blind, and finding a supportive community can have a long-lasting effect on your life. 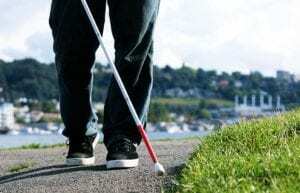 At first glance, it might seem difficult to find resources but there are in fact a variety of resources out there dedicated to those who are considered legally blind. One of the biggest resources out there for those who are legally blind is the Social Security Administration. 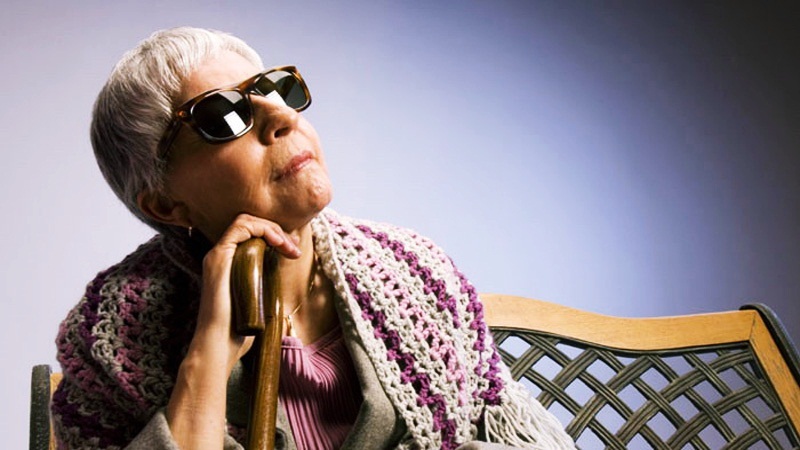 The Social Security Administration has a set of guidelines to determine whether or not you are legally blind, but that is by no means a black and white determining factor as to whether or not you qualify for benefits. The Social Security Administration uses the same guidelines that are used to determine whether or not someone is legally blind in their doctor’s office. The Social Security Administration provides many benefits for those who are considered legally blind. There are federal as well as state tax reductions and resources from non-government agencies exist with the goal of making access to those who are vision impaired. The U.S. has a federal law that stipulates that all Americans have the right to vote; participating in this liberty cannot be impaired due to a disability. We all have the right to vote either independently and privately or at an accessible voting location and even if you are legally blind you cannot be held back from this right to vote. Although we have the rights and privileges of voting, there will always be some issues and for those who are considered legally blind and accessibility is a big one. Voting accessibility to those who are disabled has always been an issue and voting for the legally blind is no different. Polling stations have been known to not have the equipment required for private voting for those who are considered legally blind. The needed listening devices for those who have vision impairment are oftentimes broken or simply not accessible at that particular polling station. Finding a service to take you to and from a polling station can be daunting especially since you don’t know how long you might be at the polling station; depending on the wait it could be hours. Most taxi services either won’t wait around or will charge you a premium for waiting for you. It’s important not to allow inaccessibility to get in your way of doing activities, especially something as important as voting. If you are visually disabled, you can contact your local election official and ask about polling facilities that are accessible to you. Likewise, they will know of organizations that can help with transportation along with information about absentee ballots and can advise you of which important dates to be mindful of. Just because you might meet the criteria doesn’t mean you should be held back from using your right to vote. 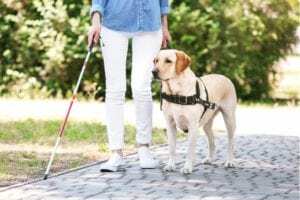 If considered legally blind, whether completely or otherwise, then looking into a guide dog might be the right thing for you. Guide dogs are specially-trained canines that are used as a mobility aid as well as a companion to those who are visually impaired. Deciding if a guide dog is right for you is a big decision and it takes a lifelong commitment to training and the care of the animal. Guide Dogs of America is the go-to if you’re seeking out a guide dog. Each of their campuses comes with a variety of amenities while attending the program, both for yourself and your faithful pooch. 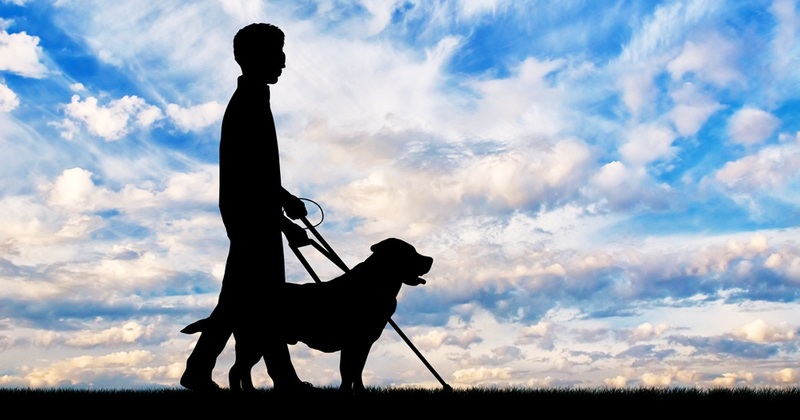 If you or a loved one are considered legally blind then there is always the option of getting a guide dog. Keep in mind that there is a wait list for the program. Those who take part in the program should be aware that it’s a 21-day crash course of training. You’ll be matched with a dog and commence training alongside some fellow students. For the 21 days that you’re on campus, you will take part in a variety of training exercises in order to bond with your guide dog and learn the commands to better instruct your dog in aiding you in your daily life. The program hosts a group of ten students six times a year at one of their campuses where the students spend their time training alongside their new companions with the continued support of highly skilled trainers. Once the program has concluded, the graduated pair has continued support from the program. This includes any training follow-ups, veterinary care at any of their campuses, and boarding services at no cost to the owner. If you’re one of the millions who is affected by some form of vision loss, then knowing your rights and the differences between each type of vision loss and how it might impact your access to services and programs is important. If you’re legally blind or think that you might be then you need to go a step farther than just asking what is legally blind. Getting an eye exam is the best thing you can do for yourself. Consulting a doctor on your vision can help you better understand if you’re losing your vision.